Always fancied getting inked but couldn’t face the thought of a tattoo parlour? Worry no more. 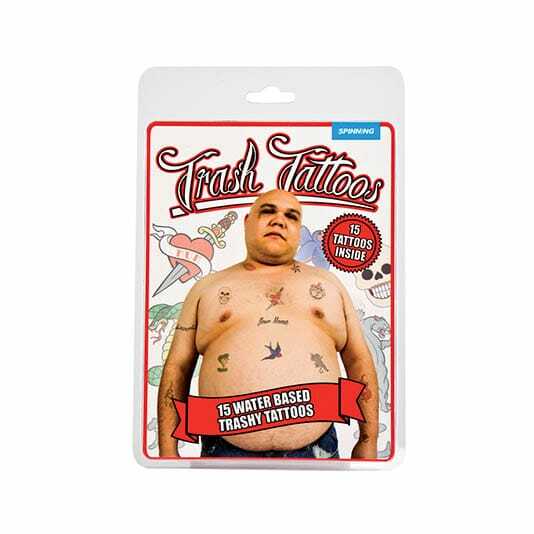 With Trash Tattoos, you won’t need to face the needle, nor will you have to live the rest of your life with a really bad tattoo. These water-based transfer tattoos turn your body into a work of art – no matter what size or shape you happen to be! Available in male and female designs (but feel free to explore both should you be so inclined) the Trash Tattoo kits feature such classics as the anchor, the skull, the butterfly, the panther and - of course – the ‘Mum’ heart. You need never suffer from tat envy again.